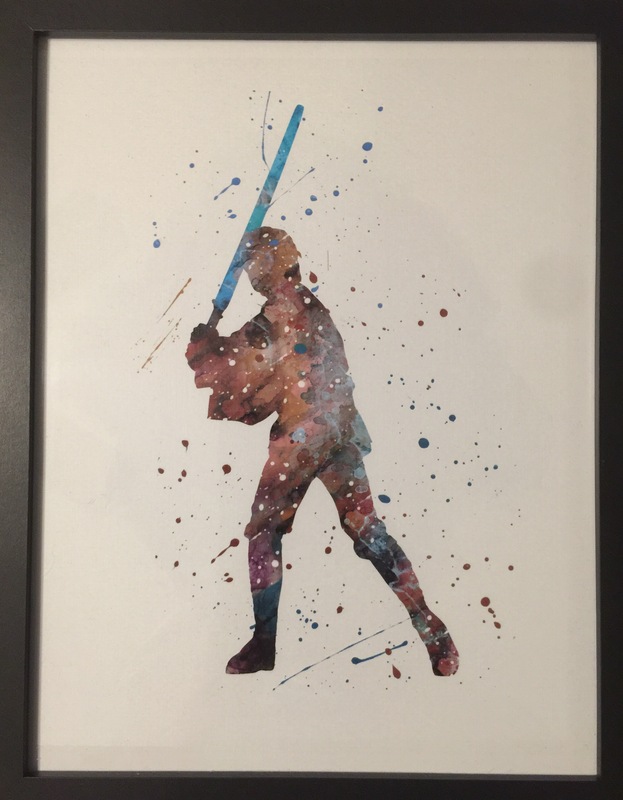 Artwork I gave my son for Christmas from Etsy. A bit of dialogue from Return of the Jedi popped into my head the other day (as it sometimes does). The Emperor tells Darth Vader to go to Endor and wait for Luke Skywalker to come find him. Vader questions this and the Emperor responds, “his compassion for you will be his undoing.” The Emperor was right in thinking Luke’s compassion for his father would lead to their meeting but wrong in thinking he could leverage that to defeat Luke. Over the protests of Obi-Wan and Leia who are repulsed by Vader’s evil, Luke insists there is still good in him and he determines to call it out and coax it into flourishing. It turns out that Luke’s compassion is key to undoing the Empire. We are in a moment where the two main political sides in the USA view each other as wholly evil, as foes to be defeated, rendered powerless, and given no voice in government. Neither side has compassion for the other. Neither side can sense any good in the other. The past election season was filled with attacks on character, each side claiming that to be on the other side meant a person was morally deficient, that a good person could only be on their own side. Each side is convinced it alone knows what should be done about any situation. Even basic facts are rejected if they come from the other side. This morning on Facebook, Mark Van Steenwyk asked “what does a politics of grace look like?” I think it looks like Luke insisting there was still good in Vader and acting on that commitment. I think grace is best defined by that Wendell Berry directive: “love someone who does not deserve it.” Both Gandhi and Rev. Dr. King were clear that love and compassion for those who stood opposed to them was key to their movements. The quest for a politics of grace is most needed in this moment. Compassion is the compass on that journey, pointing us to the good in the other, helping to understand their perspective, and the desire for the good they have. It is especially important for those of us who sense a call to nonviolent resistance to understand that approach is based on the same belief Luke had of Vader – there is still good in the brothers and sisters who are called the opposition. If we employ all the creativity, vulnerability, and compassion we can muster to sense the good in our opponents and call it forth in each other, me may find that compassion will be the undoing of many of the hurts and ills of our time.